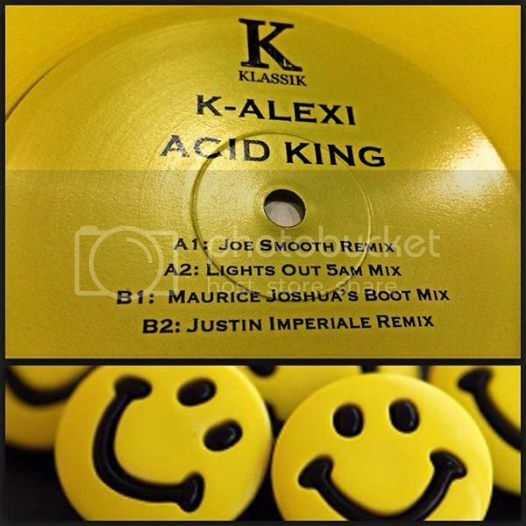 Following on from the phenomenal success of 'The Dancer' K-Alexi is back on his own K Klassik label with 'Acid King' - a no nonsense late night acid house rumbler, with vocals from K' Alexi showing just why his voice & style has stood above the rest as the true Acid King. No shortage of heavyweights on the remix front either, with a stellar cast including Grammy Award winner Maurice Joshua, Joe Smooth, Stretch Sylvester Terry Farley & Cabana Recordings honcho Justin Imperiale, each taking Acid King into different areas of the dancefloor. It's not just epic it's K Klassik Baby!